5th grader Laina with salad and the day's menu. 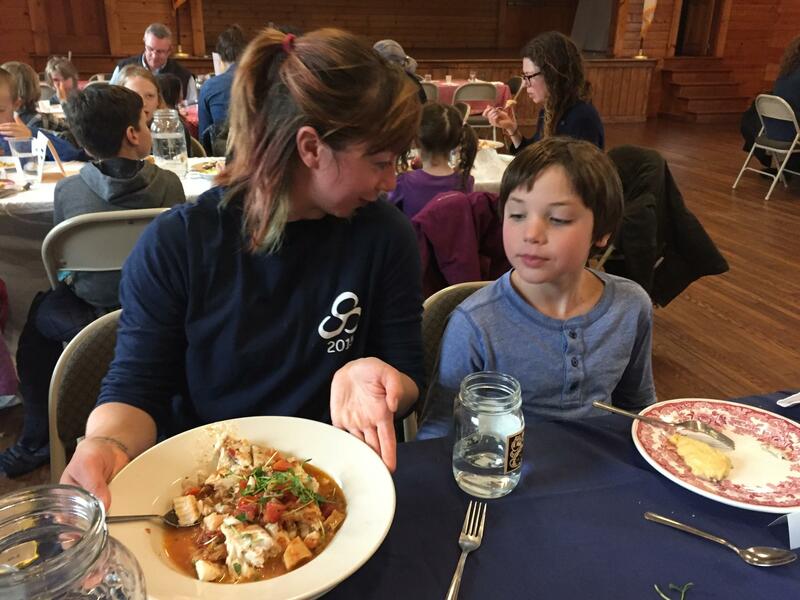 3rd grader Claus eyes teacher Mariah MacGregor's Fishermen's Stew made with fresh pollock from Gloucester. Claus is a 3rd grader at the Chilmark School, and he was one of my lunch buddies. We sat together in the school’s makeshift cafeteria, in the community center next to the school. Fresh fish, pollock, was on the menu, and Claus wasn’t all that sure about it. School lunch that day was a bit of an anomaly and more like a school lunch re-envisioned. 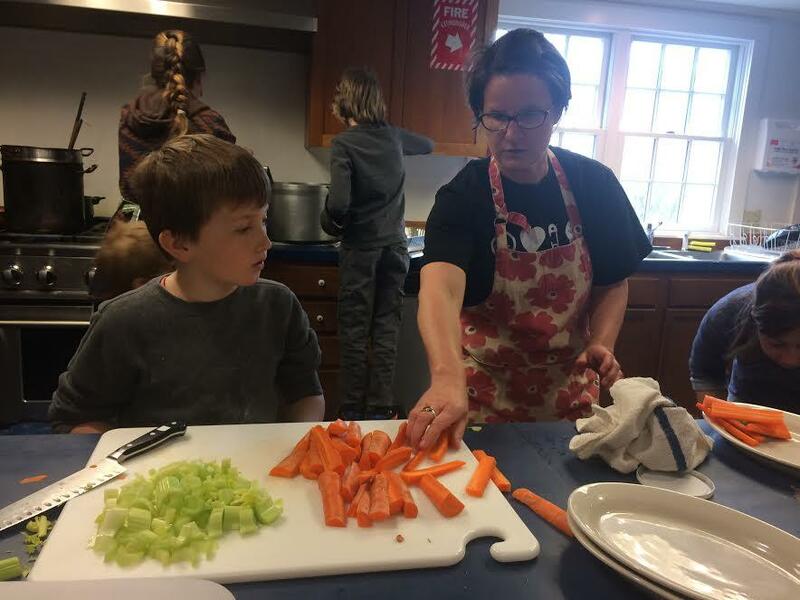 All fifty students from the kindergarteners to the 5th graders, teachers, staff and lots of parents, came together to cook and eat a locally sourced, seasonal meal. There was plenty of time to eat, as opposed to the national average of 15 minutes. Food was served family style. Conversation was encouraged and it was a no pressure, no shame meal for the kids. If they didn’t want to try something, they didn’t have to. This idealized school lunch began as a potential solution for an ailing lunch program that was compounded by the fact that the Chilmark School doesn’t even have its own kitchen. That cost is $2.75 for the food, though the labor is free and made up of parent volunteers, who do most of the work. But part of the deal is that every student gets experience in kitchen to make this lunch. Maybe, just a couple more lucky bites. 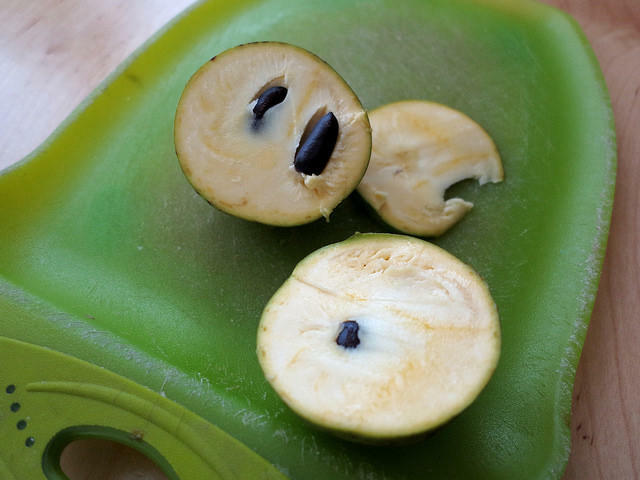 If you really want to change things, you’ve got to keep trying (and tasting). Because, who knows, in time inspired lunches like these that are fresh, seasonal, local and cooked from scratch, they could be become the norm. The parents adapted this Fishermen's Stew recipe for school lunch by baking the fish instead and then serving it on top. 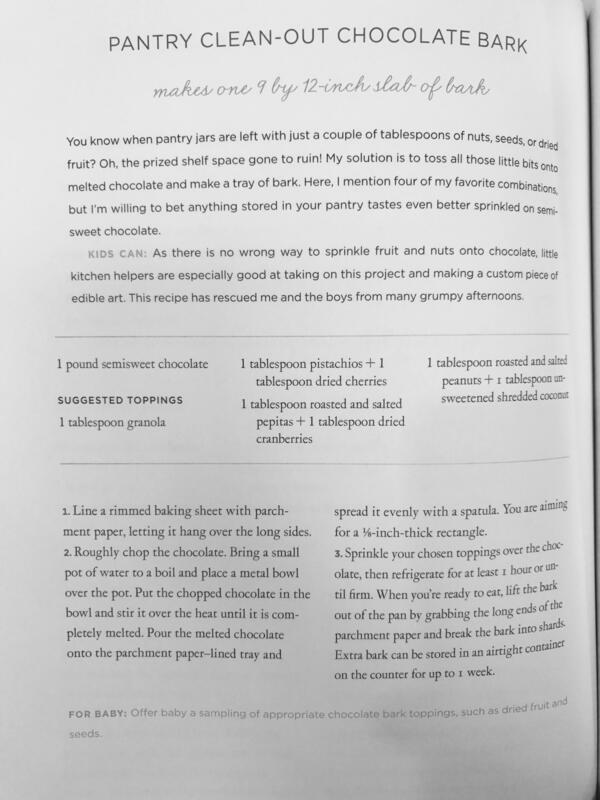 Chocolate Bark recipe courtesy of Sarah Waldman, author of Feeding a Family. For information on how to start your own community school lunch contact Noli Taylor at Island Grown Schools. 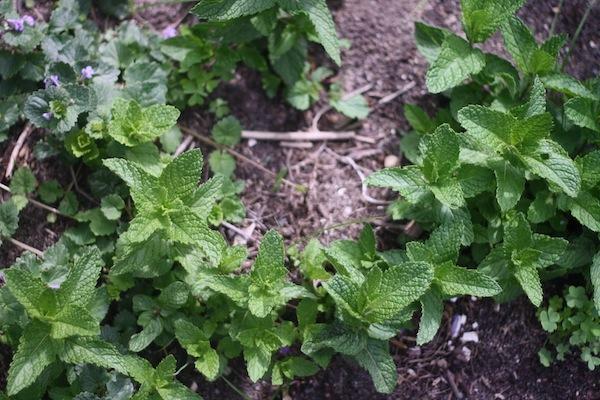 Helen Miranda Wilson grows five kinds of mint and each one has a story. The first comes from her mother’s close friend Nina Chavchavadze, who moved a piece of the plant from her garden in South Wellfleet to Helen’s family property in 1946. Olivia Pattison, 30, is a bread baker living on Martha’s Vineyard.